These 2 Bumble and Bumble Products can create separation and shine for the hair. 1. 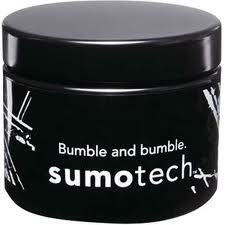 Use a dime size amount of Sumotech and piece out the hair on the ends.